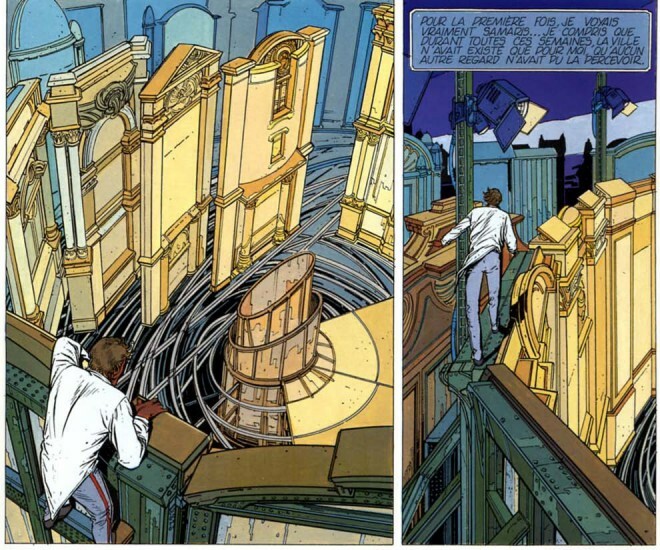 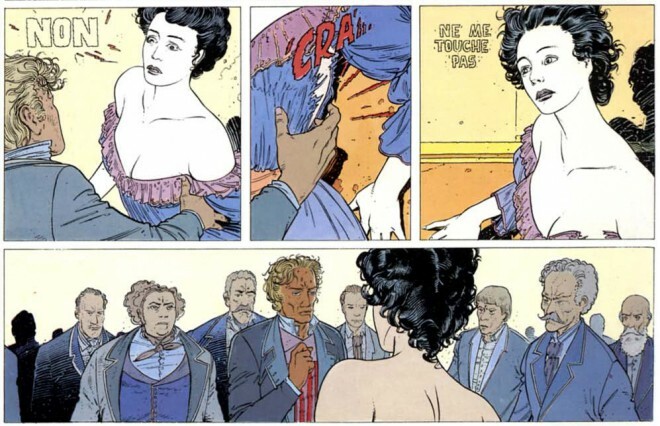 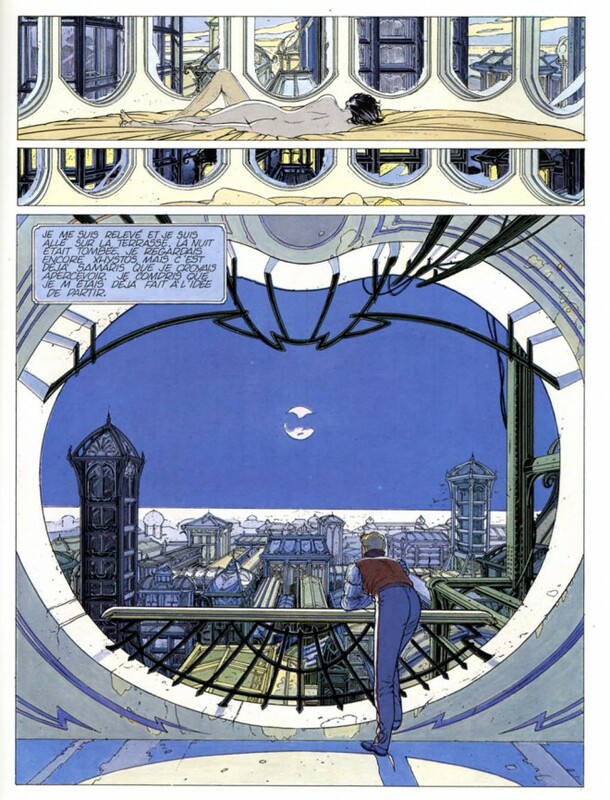 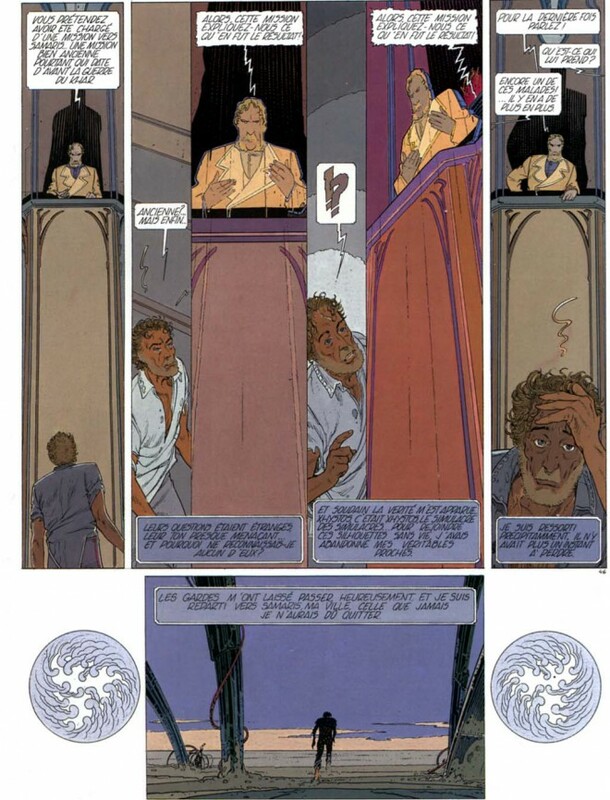 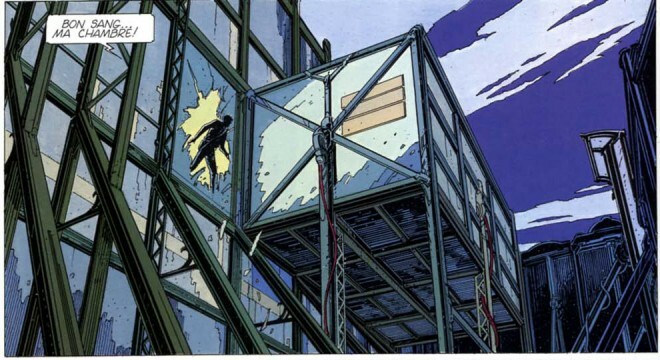 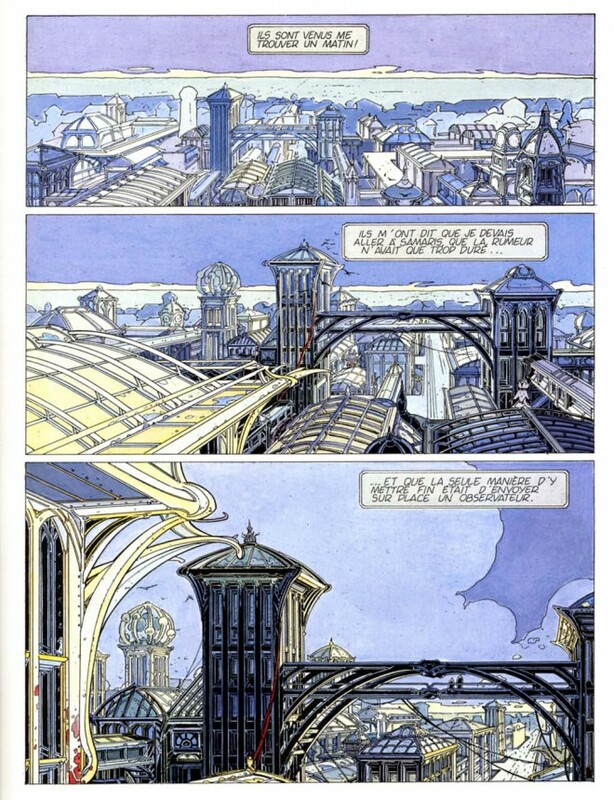 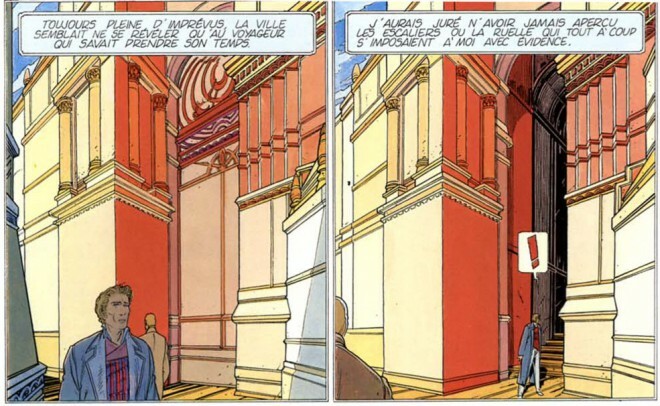 by Julian Darius, published before on Sequart Research & Literacy Organization at Monday 8 August 2011. 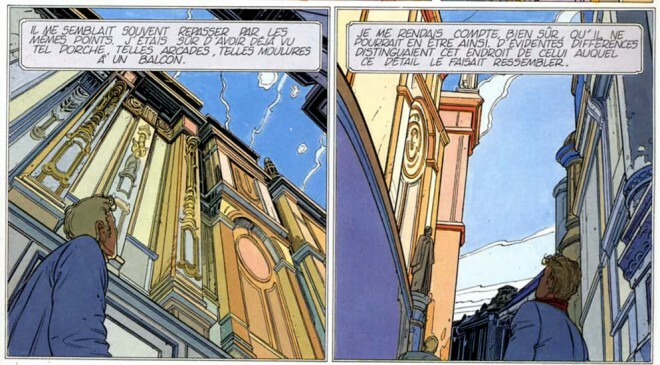 The book’s writer, Benoît Peeters, shares this view. 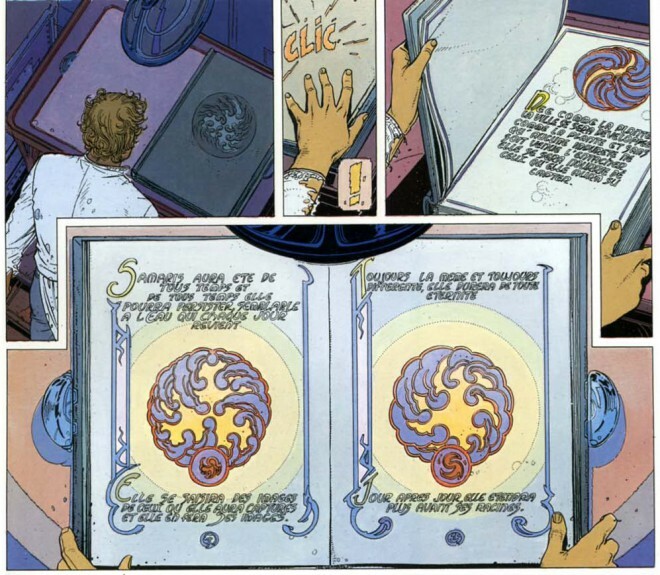 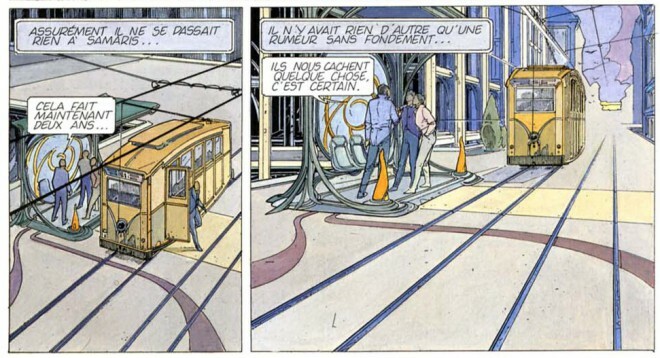 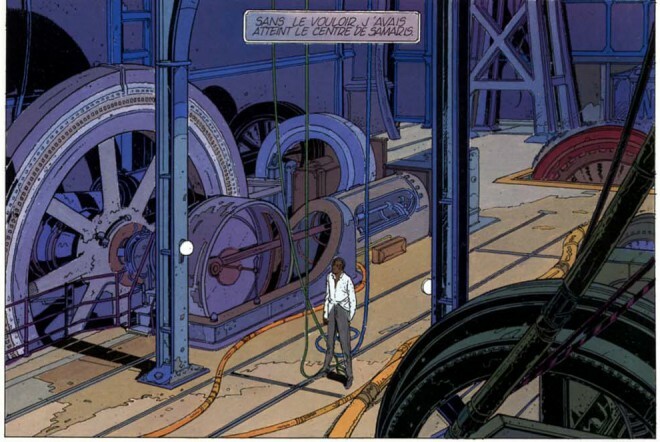 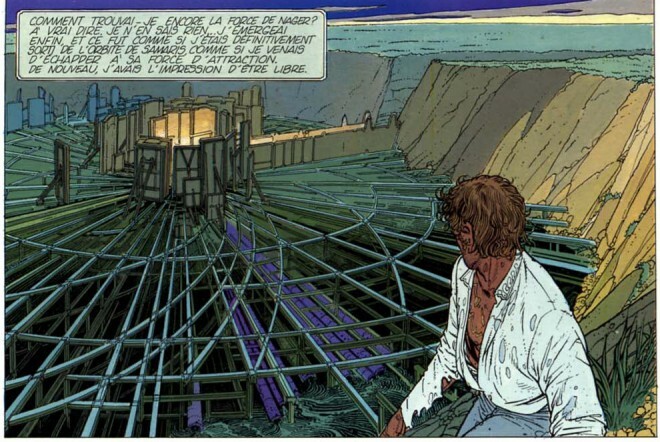 In his afterword to the second edition, entitled “Return to Samaris” (Retour à Samaris), he writes frankly that the book “was our first collaboration and my first as a comic-book writer. 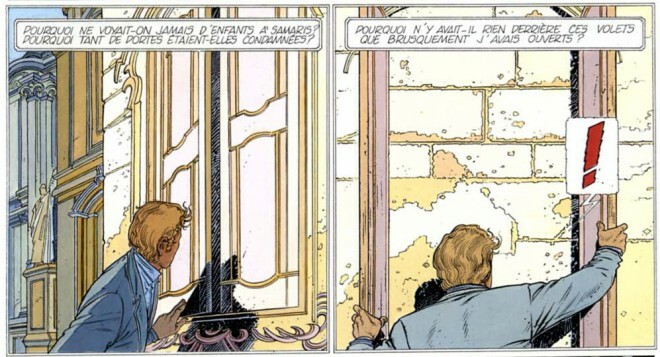 The book was created in a permanent enthusiasm, an excitement of every instant that could not avoid, it seems to us, some blind spots.” Despite making some modifications for the 1988 second edition, Peeters writes that The Walls of Samaris remains “a book that continues to leave us with more than a little remorse, a book that, periodically, we begin to dream of redoing.” Although he finds its main theme “still […] exhilirating,” he says they “only very partially developed” it.